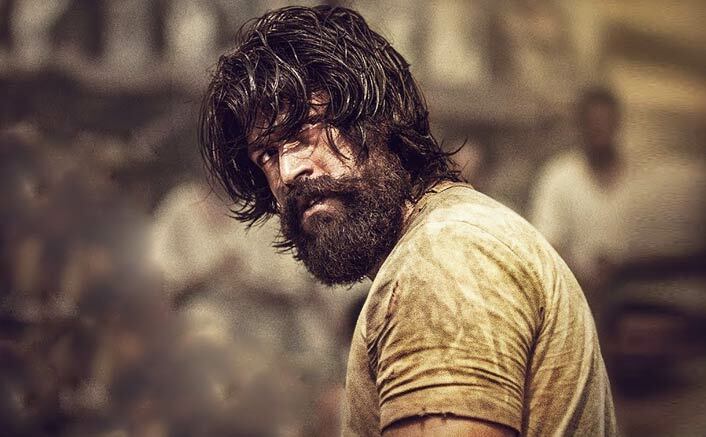 KGF Box Office Countrywide: This one has turned out to be a pleasant surprise. Even when KGF was launched with much fanfare, not many were really hopeful about how the film would perform in the Hindi version. Yes, names like Farhan Akhtar and Ritesh Sidhwani were involved but still no one had any inkling of what leading man Yash and director Prashanth Neel had up their sleeves to deliver. This isn’t all as there hasn’t been a single Kannada film that has done well in the past when dubbed in Hindi. As a matter of fact there has hardly been a dubbed Kannada film to see such release. To top it all, the film was coming right opposite Zero. There was another regional film, Mauli, which was in fact earlier supposed to release on the same weekend as Zero. However, Riteish Deshmukh, the leading man and the film’s producer, decided to come early on hence leaving the stage wide open for the Shah Rukh Khan starrer. KGF stood its ground. Many thought that it would be suicidal. However, the makers were convinced that the biggest film ever made in the history of Kannada cinema would be able to withstand this huge challenge. Furthermore, they released the film on a very huge screen count. Even though Zero was released at around 4400 screens, KGF too arrived at 2400 screens (across Kannada, Hindi, Tamil, Telugu and Malayalam). It was looked at as a brave move but then in retrospective, it has all fallen in place well. Box Office: Salman Khan’s 1st Monday Collections Of Last 10 Films – BLOCKBUSTER Results! As things stand today after five days, KGF overall collections are huge and that too while playing at almost half the count of screens. It has accumulated 75.20 crore across all the languages which pretty much tells the tale. For those with stakes in KGF, the idea was to play on the front foot and that has paid off, and how. The post KGF Box Office Countrywide: Throws A Pleasant Surprise, Turns Out To Be A Pan-India Success appeared first on Koimoi.